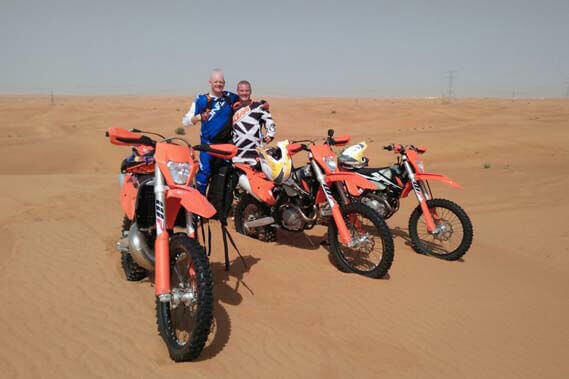 Motocross Tours Dubai is now available for everyone in UAE. Beginners, girls and kids can learn their first adventure on a back seat and not just that, the advanced riders can also polish their skills within no time on the trails of the desert with DunebikeDubai. 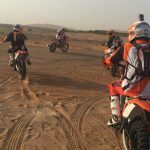 During the season we spend our everyday on a motocross desert tour Dubai leaving behind all the worries and enjoy dunes bashing. If you are planning to build you expertise for long term championship, we can offer you to practice with us as much as you want. We are here to rent you with high quality riding gears or you can rent equipments and bike from us. 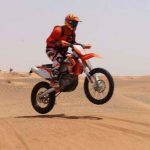 DunebikeDubai is a renowned and reliable motocross rent Dubai. 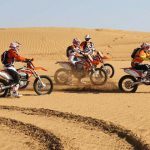 If you are a tourist and want to enjoy every little quest this city has to offer then just don’t limit yourself to camel riding and sky diving, go find a new way to rush adrenaline through dune bashing. It is a best way to spend your weekend and vacations outdoor with crazy emotions and activities. 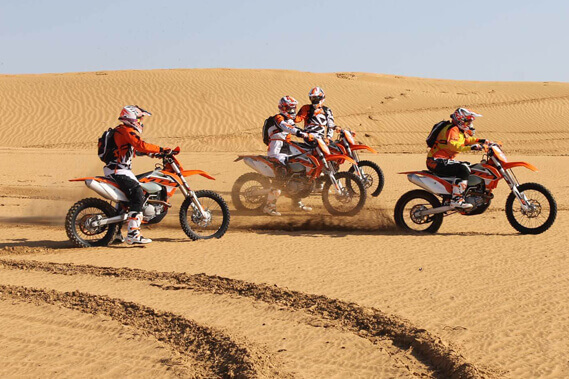 Our company offers excellent services of motocross rental Dubai for an unforgettable experience. We know every bike from inside out, and we also keep your safety on your priority. Each and every MotoX we hold is highly maintained and in good condition. 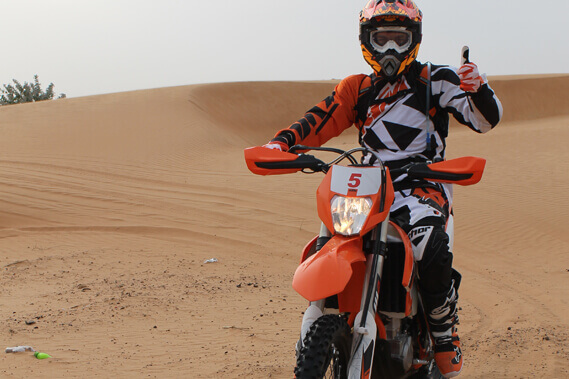 So if you are searching for state of the art services of Motocross rental in Dubai for tours, we are glad to help you! Are you serious about reaching your potential and improving your wild skills? So are we. 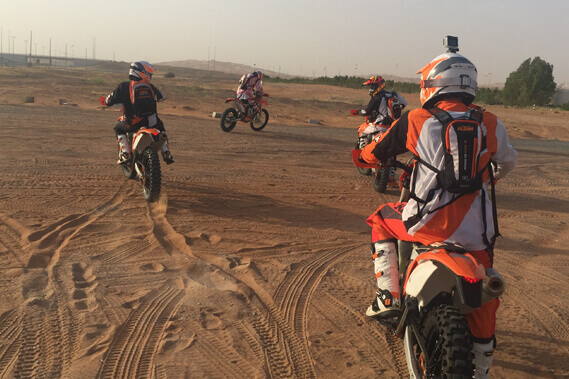 Our aim is to meet individual needs at race level from beginners to the experienced. DunebikeDubai is all about solo lessons that caters for all skill level while reducing riding risks. 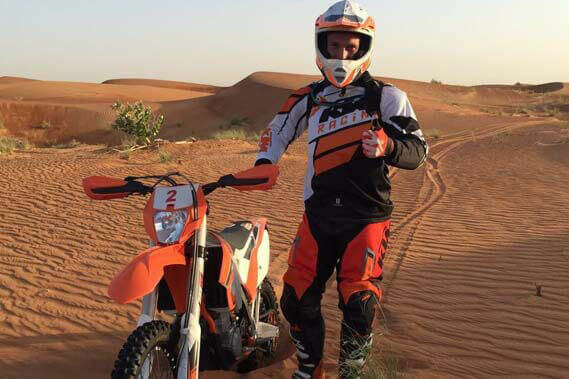 By focusing on fitness both on and off bike, track walk through and goal setting, our expert and professional riders offer tailored motocross-hire in Dubai. Most of the customers we get are newbie and spend their first day on motorcycle with us, so don’t worry if you never have been sit on the crazy machine which can fill you with thrills. Let us help you on your first step. We have small gadgets and bikes are available for kids and girls. 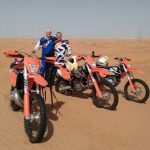 Expert advice and professional tuitions from skilled and qualified instructors with more than 20 years of coaching and riding experience. The latest bikes fully fuelled up and prepared for adventure. From boots to helmet all protective gears and clothing for all-weather tracks. 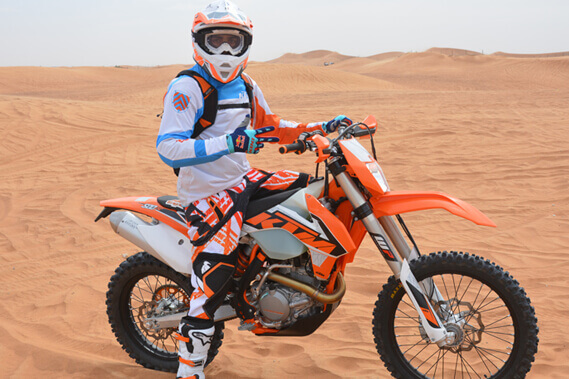 Motocross rent Dubai is an exhilarating, fast and challenging sport. For ultimate success, dedication and skills are required. But above all, it is a great fun to go for. But how do you know if it is a right sport before you? 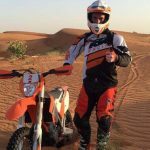 Before buying a bike join us for your motocross rental Dubai at DunebikeDubai and enjoy an exclusive guided tour in the desert. For more information or for bookings send us an email via our contact form or simply send us a whatsapp message for a quick reply.